Survey finds cloud solutions deployed in nearly 50% of mid-sized contact centers worldwide, with an additional third in the process of implementation. To remain competitive in an increasingly customer-centric world, mid-sized contact centers are undergoing digital transformation. 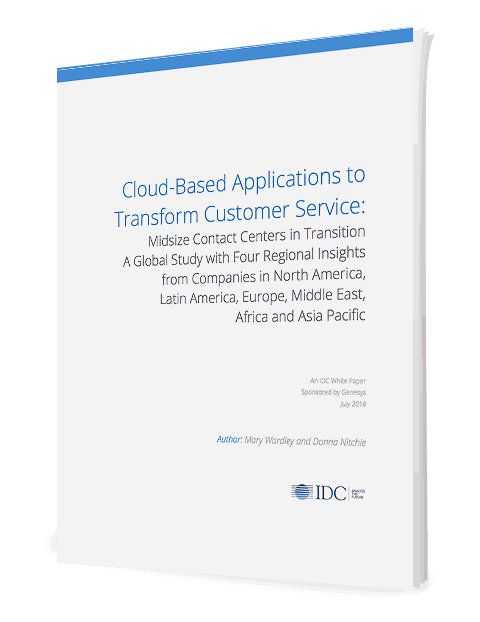 IDC surveyed companies in 27 countries to examine current market dynamics of cloud-enabled customer service environments. Eighty-five percent of survey respondents fell within the small to mid-sized category, having contact centers with 300 seats or fewer.